//callback when some value is selected, optional. //callback when the value is submitted, optional. MaterialSearchInput takes the same arguments as MaterialSearch, and a few more. Run flutter format to format lib/material_search.dart. 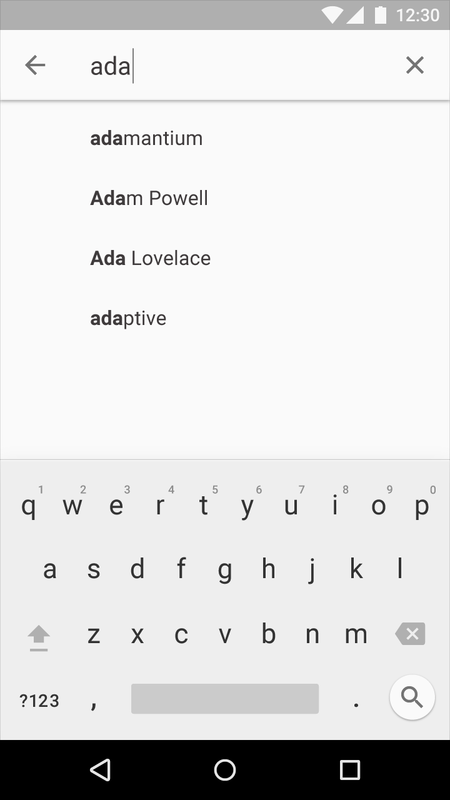 Implements part of the material search pattern with flutter widgets.